At Dusty’s we like to go old school and do everything by hand. We love those little imperfections that give our work character and life. We also know that not everyone has the time to spend hand making their work. 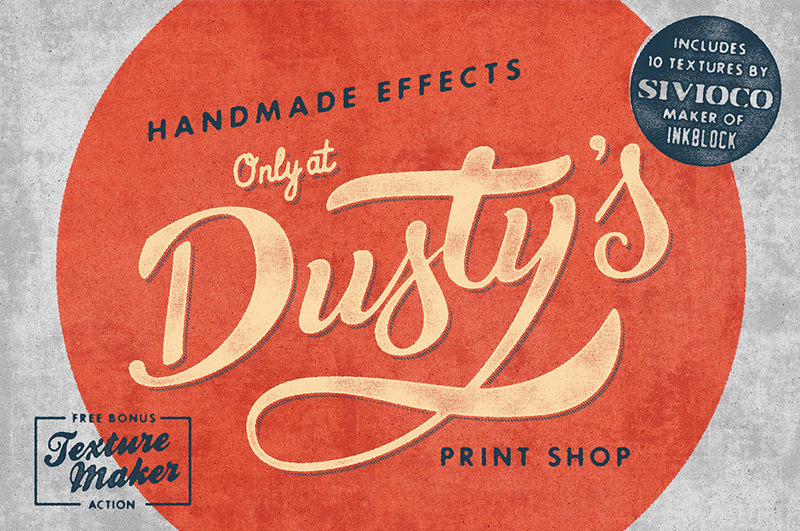 So Dusty’s Print Shop has made it easy for you with this simple to use Smart .PSD for Photoshop. 3. Sit back and admire the awesomeness! • The TextureMaker Action – Turn any photo into a transparent texture file with just one click. Ready to be dropped into this or any other Photoshop document. Also includes as a Halftone version. File size is approx 276.2MB (470.4 MB unzipped), offered as a single download. 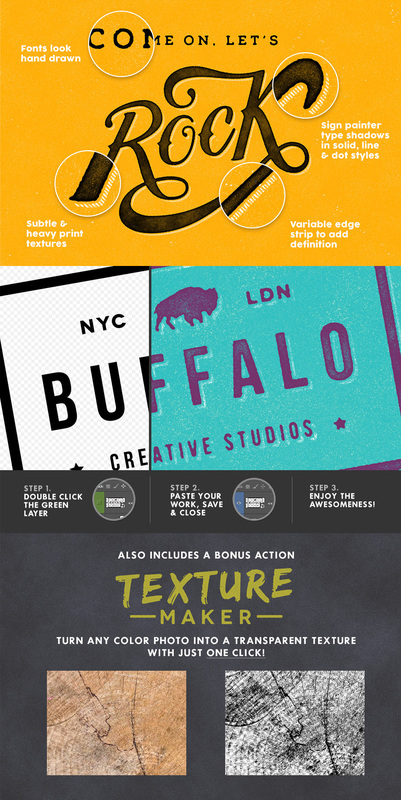 how does this work exactly, can I use it on any font I already have downloaded? I have just started with Adobe PS/IL, and I am looking to be able to create a vintage look for my type, this looks great, thanks! Thanks so much for commenting and I can definitely help :). Ian Barnard has also created a number of helpful videos for you to get you started which are located in the Videos file! Thank you so much for coming back to Carol, Bev and I hope that this video is super helpful! How do I find this video ? I have been looking in the tutorials section with no luck.